« 10 Projects you MUST see, NOW! 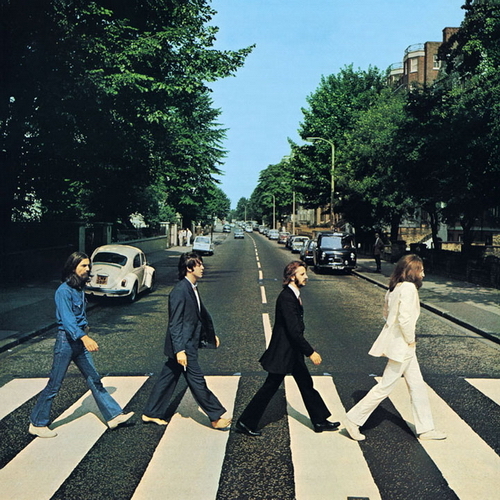 Abbey Road, the final album made by the Beatles, went on sale in the United States 40 years ago this month. Abbey Road often is listed among the group’s best two or three albums. In my mind, for reasons I’ll explain below, it is not only the best Beatles album, it is the best pop/rock album ever made. Such a result seemed unlikely when the group set out to make the album. The Beatles were quite literally tearing apart, having just completed the acrimonious and unpleasant “Get Back” sessions that resulted in Let It Be. Tortured by business differences, musical arguments and the hassle of being filmed on a cold television stage, the Beatles seemed to be far removed from stellar efforts such as Revolver and Sgt. Pepper’s Lonely Hearts Club Band. But Paul McCartney, increasingly desperate to find the answer to the group’s ills, called producer George Martin and balance engineer Geoff Emerick, asking each to return to Abbey Road to make an album “like we used to,” as Martin remembered it. And somehow, that is exactly what they did. I recently had a chance to ask the Emerick, a Grammy winning engineer and producer who now lives in Los Angeles, to share some memories from the Abbey Road sessions. Although many scholars have theorized that the Beatles knew this would be their swan song, Emerick recalls nothing of the sort. “That never passed through my mind,” he said. And did that prove to be the case? Only to a point, Emerick recalled. But EMI, the Beatles’ label and Emerick’s former employer, eventually agreed to allow their departed star engineer back in the studio – as long as an EMI employee, assistant engineer Phil McDonald, worked with him. “When I couldn’t attend the sessions, Phil took over,” Emerick said. But any thoughts that all four Beatles would return to normal studio work were quickly shattered. “The first day we were in the studio it was announced John and Yoko had had the car accident,” Emerick said. “We were in the (recording) process a couple weeks and then Yoko and John arrived.. and everyone said, ‘How are you?’ and usual stuff. Yoko, wearing a nightgown, lay down on the bed, where she remained for the next several recording sessions, a microphone suspended overhead should she wish to comment. The sessions were relatively free of open conflict, Emerick said. But true teamwork was rare. But there were still moments of creative engagement. A special highlight, Emerick said, was when it came time to record the triple guitar solo that comes just before “The End,” the glorious climax to the album. “That was Paul, George and John, in that order. They actually rehearsed it and decide who would do what,” Emerick said. The three guitar-playing Beatles joyously peeled off their alternating solos live, in one take. The Beatles would never record another album together. Thankfully their final work is a worthy farewell. Although Emerick didn’t consciously know it was the final album, I bet that the Beatles themselves felt it might be. And in no way did they want to finish their career together with the mess that became “Let it Be.” No offense to the music on that album, which includes a couple of Paul’s best ballads. But the atmosphere was so tense, the vibe so negative, that they couldn’t end on that sour note. So instead, they reached for the top of the scale. This entry was posted on October 28, 2009 at 11:22 am and is filed under About me, Beatles, Making music, power of music, Recording music and audio. You can follow any responses to this entry through the RSS 2.0 feed. You can leave a response, or trackback from your own site. Yes, Abbey Road is the best pop- rock album ever made! Almost anything they did was at the time “best album ever made” and AR is still modern. Pauls bass and Ringos drums on Come Together must of surprised John when he left the song raw for them to finish up. The Beatles is the Giant among Giants, up there with Mozart. And I never get tired listening to them. Geoff’s book is my favorite Beatles’ book. from whence does your “left the song for them to finish up” info come? Ill have to check the Lewisohn book when i get home but as i remember it they laid down the basic track all together on the first day of recording, with Lennon participating in every take with a vocal and or tambourine and with Paul immediately providing a very solid bass line (I think thats the anthology version.) overdubs were done on the following days including John redoing the entire vocal track. Thats not really them finishing it up, per se, correct me if im wrong. i get the feeling from many posters that todays revisionist version of beatles history is just as insidious as the old “john was the rocking one and paul wrote the pretty songs” crap> i love Geoff’s book and his work is amazing but its clear that hes just a bit biased towards Paul. They were all complex people, the myths dont always allow for this complexity. Paul was reportedly heartless in the studio, John was heartless in his public comments, but they were dear friends and would be still. they both took credit for things the other did by any estimation and the truth is always something in-between. anyway, This is all in Geoff’s great book, which along with Beatles Recording Sessions”, the Anthology Book, Recording the Beatles, perhaps Bob Spitz’ The Beatles and Beatles Gear by Andy Babiuk are the ones i treasure most. Ian Macdonald’s ‘Revolution in the Head’ is a must read! 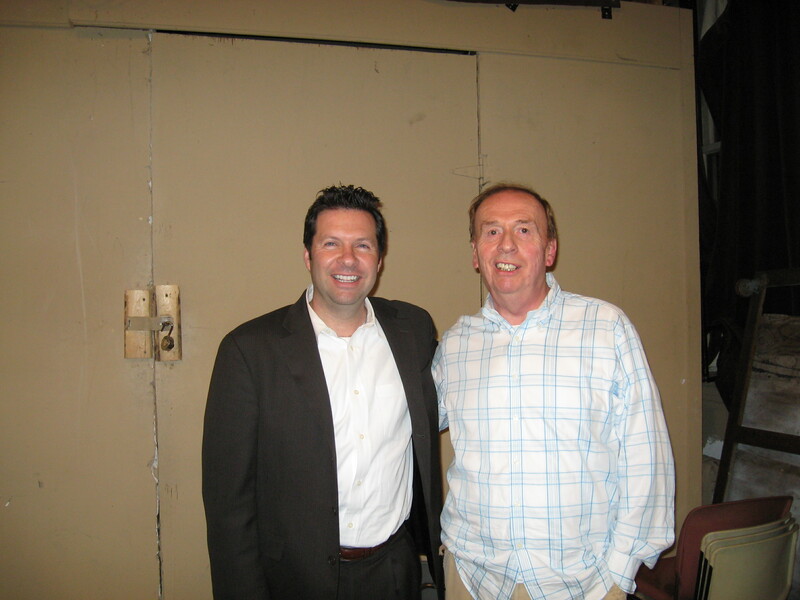 Being a studio enfineer myself, Geoff Emerick has always been a hero of mine. While I’ve never had a chance to me him, I did have a memorable conversation with Rupert Neve about Emerick reacting to a 50khz oscillation coming from a console he ending up fixing. Now that’s golden ears. Having said that, I’m a bit disappointed in the stereo remastered Beatles CD collection (I’m waiting on the mono collection to arrive), and here’s why. In his book Emerick discusses recording procedures at Abbey Road and how final tapes would be mastered for vinyl there, at the studio. I think that’s the missing step in the new CD masters. They are sonically far superior, but to my ears the steps that went into the vinyl mastering are missing. Mastering engineers always tweak analogue tapes with bits of EQ and compression – that’s the nature of the beast. Perhaps the current remastering crew was too conservative in there approach of not touching the tapes unless absolutely necessary. I wish Emerick had been involved front and center in the remastering.